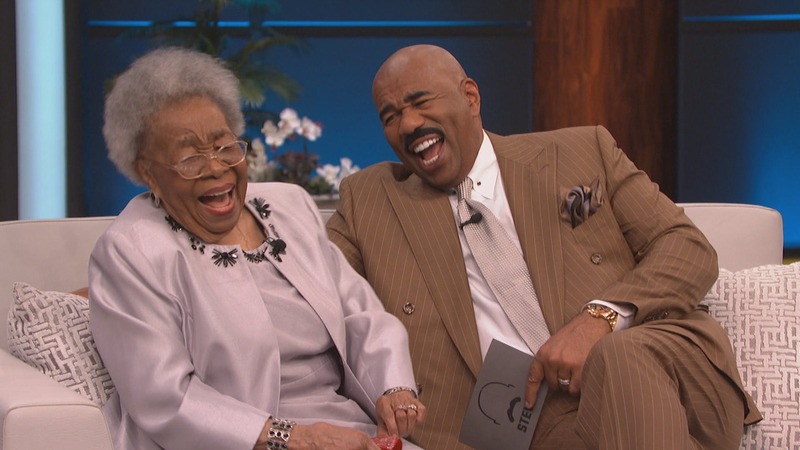 This 92-Year-Old 'Black Panther' Actress Wanted To Get On Steve Harvey's Show So She Asked Him To 'Holla' At Her! Black Panther actress Dorothy Steel visited the Steve Harvey Show this week after asking Harvey to “holla” at her in a video. The 92-year-old actress, who played a tribal elder in the blockbuster flick, recently shot a video of herself saying that she wanted to visit the TV host. Harvey saw the video and flew her out to his show to share her inspirational story. Miss Dorothy only just took up acting four years ago, and she has already been in one of the highest grossing movies of all time. And she did not disappoint on the show! She brought all kinds of sass and brass as she flirted with Harvey. “Miss Dorothy, you better watch yourself!” Harvey jokingly responded.